The MediaTek MT6753 is a mobile processor for entry-level smartphones and many popular devices like the Meizu M2 Note, Lenovo Vibe K4 Note, Gionee S6, Coolpad Note 3 and the Micromax Canvas 5 E481 are powered by it. It is a 64-bit Octa-Core processor by MediaTek that was launched in 2015. It has two separate core clusters, the first core cluster is clocked at 1.5 GHz while the second cluster is clocked at 1.3 GHz. It is a decent SOC, but there are several better alternatives available at the time I’m writing this. If you’re planning on purchasing a device powered by the MediaTek MT6753, then this review will help you make the right decision. After the specification, you can also find the benchmarks of this SOC. Later on, we will compare it with other similar processors and at last, I’ll share how well this performs in real-world usage. It is a 64-bit SOC by MediaTek which was released in the 3rd quarter of 2015. In 2016, many brands launched their entry-level phones with this chipset. MT6753 has 8 cores and it uses the ARM big.LITTLE architecture for efficient processing. The high powered cores are ARM Cortex-A53 and these have a clock frequency of 1.5GHz while the low power cores have a 1.3 GHz frequency. When performing CPU intensive tasks like gaming and heavy-multitasking, the high-frequency cores drive the phone. But when the load on the CPU is low, it switches to the low-frequency cores to conserve the battery. It is manufactured using the 28nm Fabrication technology which is not too power efficient but acceptable considering this chip is designed for low-budget devices. It has the ARM’s Mali-T720 Graphics Processor which is not too strong either. The clock frequency of this GPU is 700 MHz. Yes, it can run most of the games but it struggles while playing GPU intensive games like Asphalt 8 and N.O.V.A 3. Even though these high power demanding games are playable in some of the phones, but you may observe consistent frame drops and lags. It has an LTE Cat-4 modem and a 16 Megapixels Image Sensor Processor. It can support mobile displays with a maximum screen resolution of 1920×1080 pixels. This chip uses the MediaTek’s CorePilot technology that improves task scheduling that results in better performance and user experience. You can observe the benchmark scores of this SOC is the table down below. Here is the Antutu score of MediaTek MT6753 devices. The Gionee S6 tops the table with 28,216 points while the Lenovo Vibe K4 Note and Meizu M2 Note have a score of 36,615 and 36,573 points respectively. In my opinion, that’s a decent score for an entry-level chip. This Geekbench 4 score belongs to the Lenovo K4 Note. On Single-Core and Multi-Core benchmark tests, the scores are 612 and 2,486 points respectively. If you’re confused between a phone powered by this processor and the other one powered by one of those listed below, this comparison should help you find the better SOC. These two have a similar specification but Snapdragon 430 gives better results in real-world performance. Also, the GPU, ISP, and Modem of Snapdragon 430 are better. Snapdragon 435 is the successor of 430 and it is even better than 430. So, pick an SD 435 device if you need a decent phone in low-budget. The Snapdragon 625 has far better performance, graphics processor, fabrication technology. Also, it is better than MT6753 is almost every aspect. There’s no comparison here, you should opt for a Snapdragon 625 device. These three are very similar processors but the MT6750 and MT6752 give better performance and gaming experience as compared to the MT6753. Here is my review of this SOC on the basis of its real-world performance. I’ll rate this processor in four different aspects and these are general performance, gaming, battery efficiency and the price-to-performance ratio. In your daily-life phone usage, the experience is actually good. Unless you’re running too many apps at once and the storage is almost full, you will not face any issues with this device. But if you’re a power user who uses the phone a lot, this is definitely not for you. There are many better options available in the market if you need high performance. If you’re a casual gamer who plays games like Temple Run, Subway Surfers, and Clash of Clans, then the Mali T720 GPU is good enough to handle these basic games. Even the high demanding games like Asphalt 8 will run, but you’ll get a very low frame rate and the gaming experience won’t be too good. So, if you’re someone who plays a lot of games on his/her smartphone, the chip is not for you. The 28nm Manufacturing Process is not too good if you need a phone with a good battery life. But the battery life won’t be too bad either. This is because the processor uses ARM’s big.LITTLE architecture that turns off the high-powered cores when you do not require very high performance. So, in my opinion, this SOC is above average in terms of battery saving. 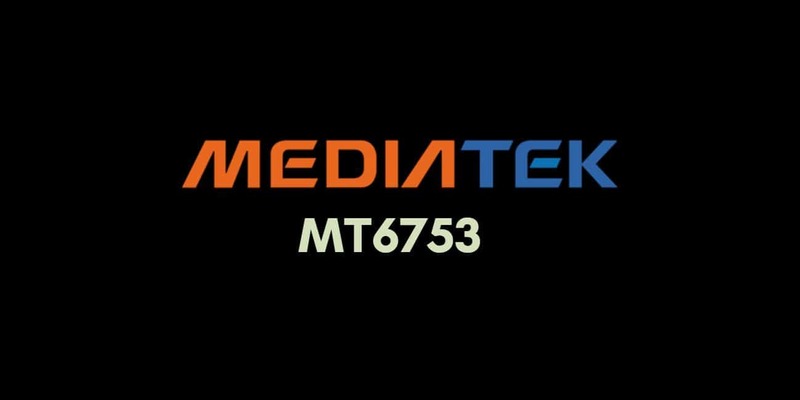 Most of the phones that run on the MediaTek MT6753 are very budget friendly devices. So, the price-to-performance ratio isn’t too bad as it is a chip for entry-level phones. So, if you’re a casual smartphone user, this SOC is good enough for basic tasks. But I will not at all recommend it to heavy users. The gaming performance isn’t too good either. Right now, there are better choices available such as the Snapdragon 625 and 435 devices. You can also consider the Snapdragon 425 if your budget is very low.